Eye protection is necessary to prevent the shedding of skin, particles or droplets into your critical cleanroom process. To be effective cleanroom goggles have to cover your eyes and skin perfectly, leaving no skin uncovered. A panoramic view enables your operator to look easily in all directions. Our cleanroom goggles have a comfortable and ventilated frame, as well as an adjustable band to fit over prescription glasses. The unique anti-fog and anti-scratch properties give your operator a clear condensation-free lens. 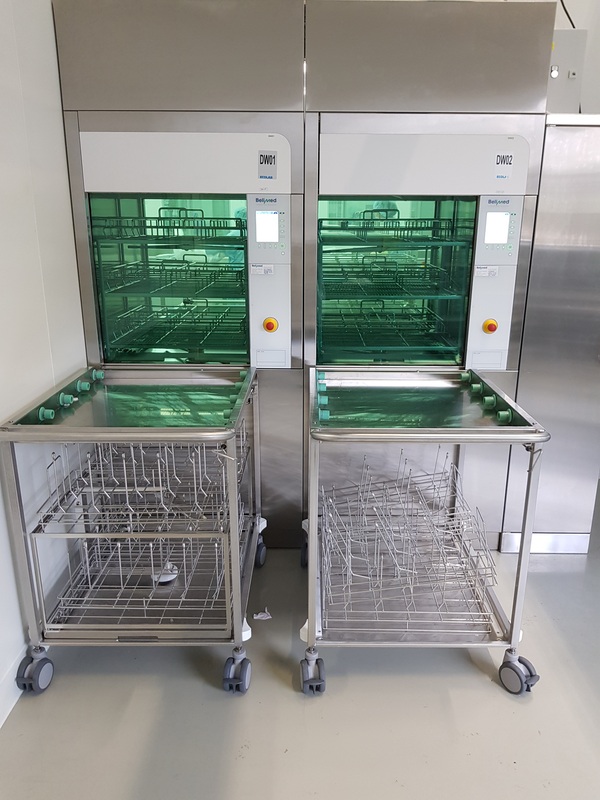 Our validated cleaning and sterilisation processes using pharma grade equipment ensures a reproducible result, cycle after cycle. Let our cleanroom experts advice you.